What an year we had. Six trophies with a team and manager who seems to have inherited the "Midas Touch". Everything Guardiola touched turned into goal within minutes. 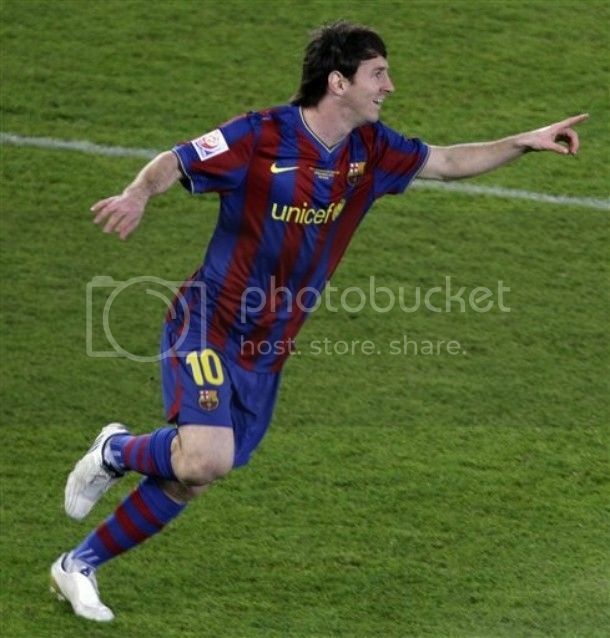 Lionel Messi's "Goal From Heart" sealed the perfect season for Barca in 2009. The achivements of this Barca side will be written with Golden Ink in the history books of the game. I don't know whether any team will be able to replicate what our boys have done, may not atleast in this century. It all started with a stunning last minute victory against Chelsea. Statistically it all started from that stunning Yaya Toure's goal against Atletic Bilbao but I would prefer to see the Iniesta's Chelsea goal as the pivotal in Barca's success of this year. Had that didn't happen it could have gone all the wrong way in this year. That goal was god sent, sure there were enough controversy surrounding that match but no one can question that goal. Guardiola looked like had lost all the hope so did all Barca fans, I was about to turn off the TV as I couldn't bear to see teh highlights, then that "Moment from Heaven" happened - Lionel Messi played the ball to Iniesta, Iniesta against his usual nature decided to take the shot and the ball ended in the goal sending Barca to Rome. The match against Manchester United was an example of how the season went - perfect to the plan. Barca had played much better game throughout the season and was for me below par in the final, but still they were miles ahead of Manchester United. I had earlier wrote why I though Barca Out Played ManU, Have a look - Why Manchester United were Stunned by FC Barcelona in the Finals? Lionel Messi of Barca Adjudged "The Best Player In The World"
Exactly one day after helping Barca secure the World Club Championship with his "Goal from the Heart", Lionel Messi was adjudged the as the FIFA World Player of the Year. It come as no surprise as everyone expected him to win this hands down. Messi secured 1073 points and the second placed Ronaldo secured 352 points. Barca's Xavi Hernandez came third with 196 points followed by Kaka with 190 points and Iniesta with 134 points. The inaugral FIFA Puskás Award for the 'most beautiful goal' of the year went Ronaldo for his goal against FC Porto. Ronaldo's goal secured 17.68 percent of total votes, meanwhile Iniesta's important strike against Chelsea came second bagging 15.64 percent of votes. Lionel Messi has expressed his hapines of becoming the first Argentinian to win the award - "It’s lovely to get this recognition from colleagues and coaches. That makes it even more important. 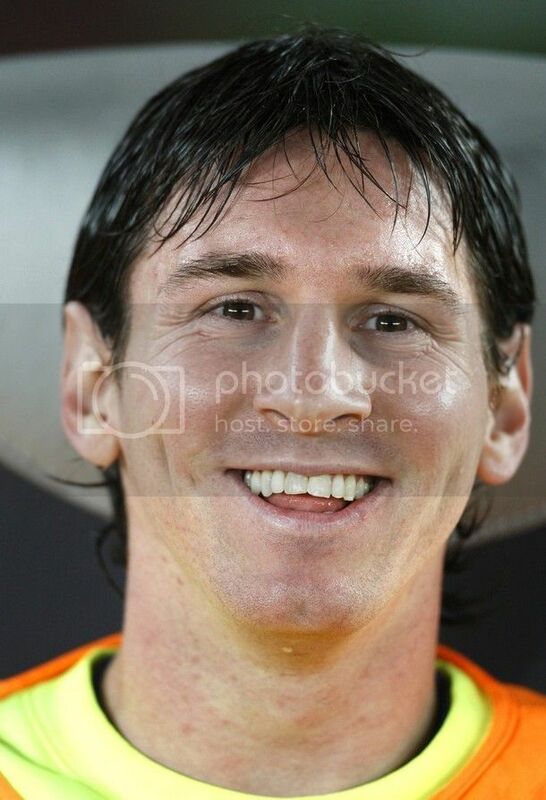 The fact that I’m the first Argentinian to win it is also a great honour." FIFA Women’s World Player of the Year award went once again to Brazil's Marta, who incidently has created history by winning her fourth World Player award. The voting pattern went in expected lines but I still believe it is a great injustice to Xavi and Iniesta after being ranked at three and five. Xavi had a better season than Ronaldo for Spain and Barca but still finished thrid behind Ronaldo. The same with Iniesta who also had a very good season atleast better than what Kaka had. But it looks like this is the order of the day, you got to be flambouyant to secure votes in these awards. I missed to write about the Champions league draw. FC Barcelona got one of the easiest pairing with Stuttgart as opponent. No offence meant to Stuttgart fans and players, but there was a potential chance of facing bayern, AC Milan or Lyon. The first leg of the tie takes place in Stuttgart on 23rd of February and the reaturn leg will take place in Camp Nou on 17th of March. Ex-Barca player Hleb is in the squad of Stuttgart and will make his first return to Camp Nou after the transfer. Stuttgart had a great last season but they are way off colour this season. Bundesliga has reached the half-way mark and Stuttgart lie in the 15th position. So Barca definitely could not have asked for a much better tie. Meanwhile all across Europe there has been some interesting paring for the knockout stage. Italina teams AC Milan and Inter will face Manchester United and Chelsea respectively. The English teams will definitely have the advantage of playing the second leg at home, even then an English - Italian encounter always is volatile. FC Barcelona won the 2009 World Club Cup by defeating South American Champions, Estudiantes by two goals to one. Estudiantes went ahead in the first half through Bosselli's goal, Barca left it late to grab an equaliser. Actually the equaliser came in the 88th minute from Pedro's header and Lionel Messi scored a rather beautiful goal with his chest in the second half of second half, to gift Barca their first triump at World stage. With this triump, Barca have won six trophies in 2009. Estudiantes might have been hard done for a momentary lapse of cocentration late in the second half, but Barca were the best team overall. With Iniesta absent Guardiola chose a midfield which had Xavi and Keita along with Busquets.Busquets was preferred Bosellionce again ahead of Toure but overall Toure had greater authority on the match than Guardiola's favourite. Messi, Ibrahmovic and Henry lined up in the offence. The defense had the familiar look with Alves, Puyol, Pique and Abidal lining up together. FC Barcelona will come to know about their opponent in knock-out stage of Champions league tonight. The draw will take place at UEFA Headquarters in Nyon, Switzerland. Barca's potential opponents are Bayern Munchen, AC Milan, CSKA Moskva, Porto, Lyon, Stuttgart and Olympiacos. AC Milan with ex-Barca star Ronaldinho. Bayern, Lyon, CSKA and ex-Barca star Hleb featuring Stuttgart all are tough opponents in that group. Even though AC Milan is a pale shadow of their illustrous past, they feature in my list of "should avoid" teams. But a greater look at the other opponents also point to us a fact that this year there may not be any easy fixtures. Barca will be playing the second leg at home, courtesy of emerging as group winners. Bayern Munchen destroyed Juventus away on their way to the knock-out stage, meanwhile Lyon made it through a tough group featuring Fiorentina, Liverpool and themselves. So they all have form in their favour but historically we have done well against these teams. 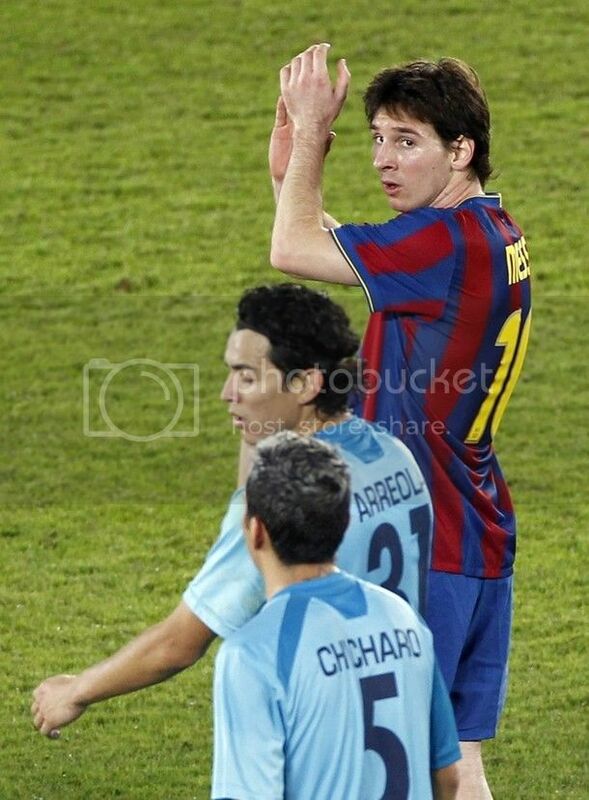 FC Barcelona booked their place in the finals of 2009 World Club Cup by beating CONCAAF Champions Atlante 3-1. Barca went down a goal down as early in the fifth minute but strikes from busquest, Messi and Pedro helped Barca to a more than comfortable win. We will now meet South American Champions Estudiantes in the final. The early goal came from a mistake from our defense otherwise we had near perfect control of the game. Pedro while helping Barca win the game recorded history by becoming the first man to score in six different competition in a year. 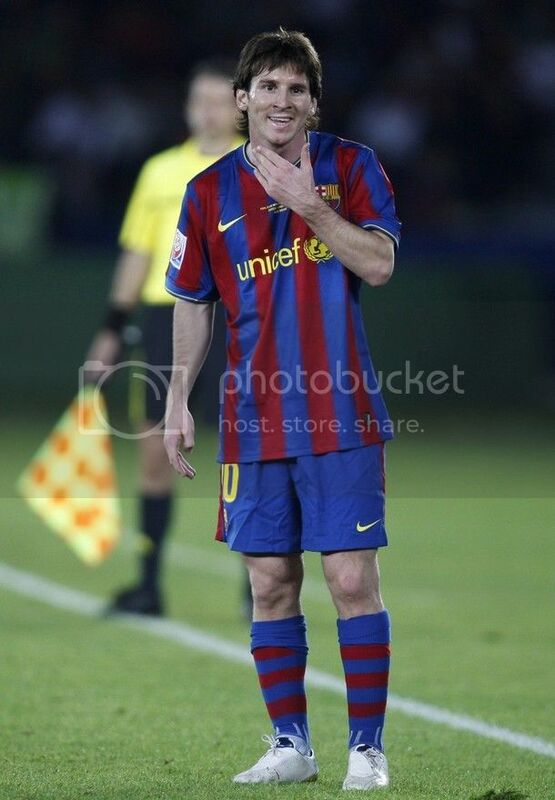 Messi was declared fit prior to the match and he was called upon to win the match for Barca. Guardiola went for a rather defensive midfield in the shape of Toure, Busquets and Xavi. Toure was playing in the role of a attacking midfielder while his usual role of defensive midfielder was done by Busquets. I never understood the logic behind that decision. Toure is a more solid player in defensive midfielder role than Busquets , why you want to take him from his best position. The attacking trio was made up of Ibra, Iniesta and Pedro. 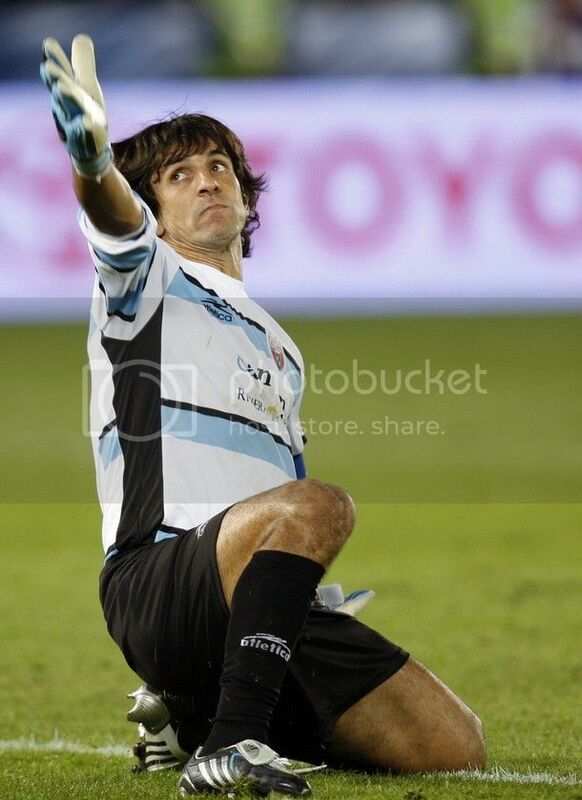 The defense had Marquez, Puyol, Alves and Abidal infront of Valdes. FC Barcelona would eying to capture their sixth trophy in a near perfect season. This is one Championship which Barca hasn't won in its history. 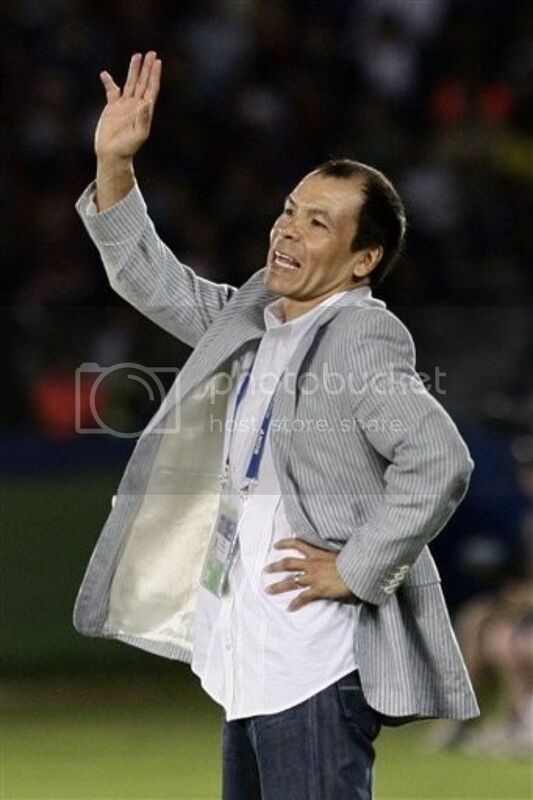 On the previous occassion we have lost in the final - In 1992 when the cup was called Intercontinental Cup, Sao Paulo beat us 2-1 and in 2006 we were done in by another Brazilian club, Internacional. Apart from that there are some other record to be made in this match. Pedro, the young Barca player will be hoping to make history by being the first player to score in all competition. He has already scored in Liga, Champions League, Copa del Rey, Spanish Super Cup, European Super Cup and will definitely like to add World Club Championship to that list. Xavi Hernanadez will be playing his 500th official match for Barca, if he gets a chance. With Lionel Messi absent he will definitely be playing. FC Barcelona would be looking to win a trophy which has eluded them two tinmes in the past in the World Club Championship in Abu Dhabi. If they manage to do the same then it will be their sixth trophy in a fantastic year. Guardiiola has already highlighted the capturing of this eluding Championship as a priority for Barca. The team has already left for Abu Dhabi and will have their first training session on monday. By courtsey of being the Champions of Europe Barca will have to start their campaign from the semi-final stage. The South American champions also are given the same advantage in the Championship. Most of the time the final comes down to a clash between the best of Europe and South America. Europe with their enormous talent on display is expected to win each of these, but surprisingly the South Americans always had the upper hand. 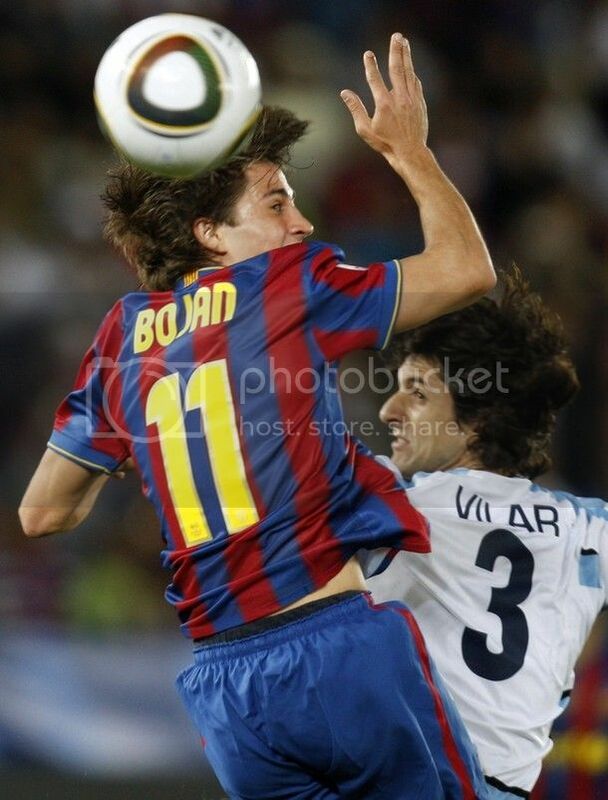 Will Bojan and Toure Move out of Barca?